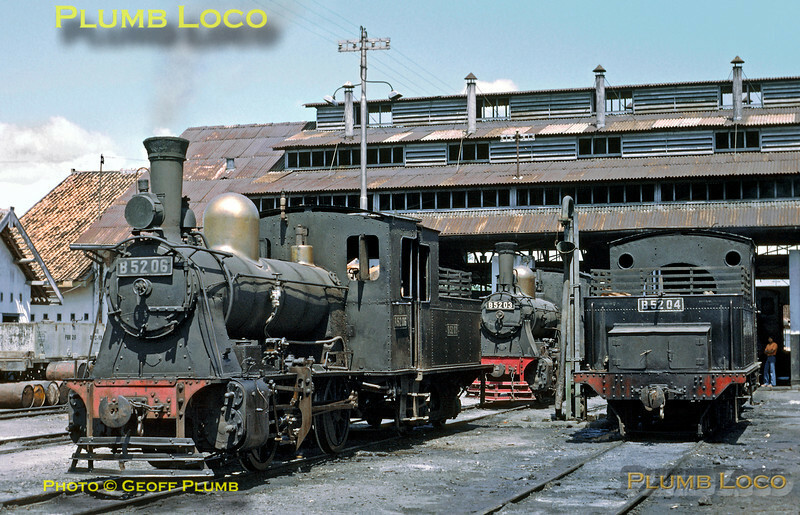 Kudus loco shed was home to several B52 class 0-4-0s, three members of the class seen here in the depot yard. B52 06 is in steam and B52 03 and 04 await their next duties. The twenty seven B52s were all built by Hartmann in four batches between 1908 and 1913. Monday 23rd July 1973. Slide No. 11705.